*** B-Roll video is available for download below. Your car has just slogged through another winter of cold, snow, slush and salt. Now, with better weather in the forecast, it’s time to give your vehicle a thorough check-up. Cold weather can impact a number components and the first exposure to excessive heat can cause many winter-weary vehicles to breakdown. AAA recommends regular maintenance to ensure more efficient operation and to help prevent costly repairs down the road. Engine Oil — Lubricates and cools the engine while cleaning internal parts. Running your car low on oil can cause serious engine damage. Check the level at least once a month. Engine Coolant — Prevents engine freeze-up in winter and boil-over in summer and protects the cooling system from rust and corrosion. Brake Fluid — Critical to proper brake system performance. Transmission Fluid — Helps transfer engine power to the wheels, lubricates internal parts, maintains seals and acts as a coolant. Power Steering Fluid — Transfers hydraulic pressure to reduce steering effort. Air Filter — Captures dirt particles and ensures clean airflow to the engine. Inspect at every oil change. Belts — Most vehicles use a single serpentine belt to operate under-hood accessories such as the alternator, although V-belts still are used in some applications. Hoses — Circulate vital liquids such as engine coolant, transmission fluid and power steering fluid. 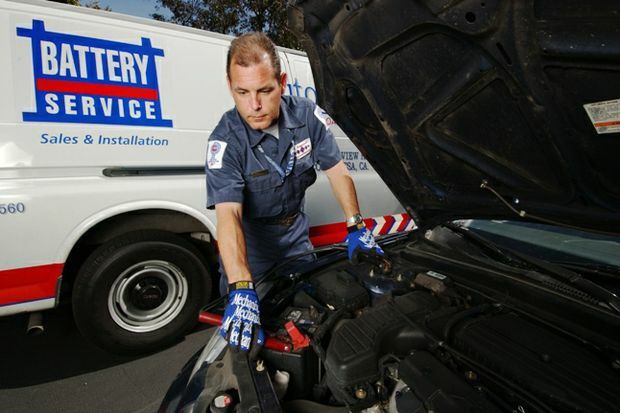 Battery — Powers the starter motor, acts as a voltage stabilizer for the electrical system and makes up any shortfall when the alternator cannot meet the vehicle’s electrical demands. Tires — As the only part of your vehicle in contact with the road, tires have a major effect on ride, handling, braking and safety. For optimum performance, tires must have adequate tread depth, show no signs of physical damage and be properly inflated. Inspect tires and check inflation pressures at least once a month. If you’re not comfortable doing these checks yourself, take your vehicle to a certified technician like those who participate in AAA’s Approved Auto Repair (AAR) program. Garages that participate in the AAR program offer qualified technicians, a wide range of professional repair services, and guaranteed quality. These shops meet AAA’s strict quality standards and display AAA’s logo. AAR shops can be found at AAA.com/AutoRepair. In addition to checking the components and fluids listed above, AAA East Central recommends motorists have their vehicles thoroughly cleaned to remove salt and de-icing materials from the winter. These agents can damage the body of a car- which serves both cosmetic and structural roles- and can lead to rust, which can corrode other critical components as well. Brake lines, fuel tanks, exposed electrical components and floorboards are all susceptible to serious rust damage. “Giving your car a thorough wash and focusing on blasting the undercarriage is essential following the winter,” continued Eyrolles. Before the start of winter, thoroughly wash and clean your vehicle prior to the start of winter and apply a coat of wax to protect the finish.